Kitchen Shop – Pay Less For More ! Pay Less For More ! Welcome to Kitchen Shop, your favorite place to shop online for provides quality and innovative kitchen products include appliances, cookware, baking ware, knives, kitchen tools and accessories to make the kitchen a better place for every woman. Established since 1997, the very core of Kitchen Shop’s business philosophy has remained unchanged: we build our business based on the twin pillars of – Healthy Living and Conserve Energy. Our comprehensive product range includes more than 1000 kitchenware and home-ware items. We continue to entice the market with quality and stylish kitchen & home wares from an extensive range of well-known quality brands to ensure our customers receive value for their money! Here at Kitchen Shop, we’re committed to you, our customers – we want you to enjoy shopping with us, and will always do everything we can to ensure it’s a pleasure, not a chore. Whether you’re shopping for household essentials, looking to treat yourself with one of life’s little luxuries, or searching for the perfect gift for someone special, we’re here for you. Our promise to you is to always deliver the absolute best price along with great advice on everything that can be used in the kitchen and around the home. 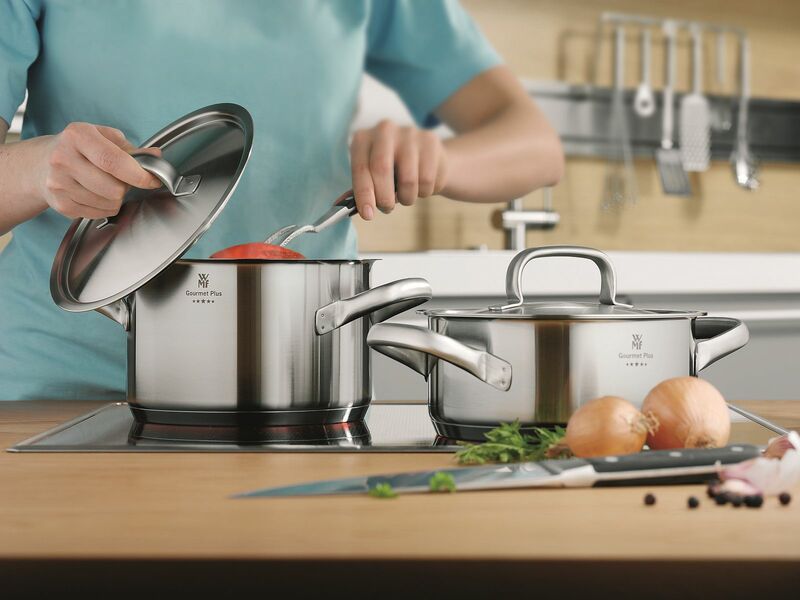 No matter what you are after we have it here, a new baking pan, knife set, food processor or simply the best kitchen gadgets for your kitchen from leading brands such as Scanpan, Royal Doulton, WMF, Joseph Joseph, or Trudeau – we’ve got it covered. Come and meet Kitchen Shop in person at one of our 11 stores nationwide – across the length and breadth of the country, friendly staff are eager to welcome you, but won’t ‘pounce’ the moment you walk through our doors. Knowledgeable about all our products, our staff are always on hand, happy to answer your queries, help you choose the best product for you, or just chat through options – they’re Kitchen Shop customers too!